LASVIT proudly presents the limited collection of vases designed by late artist Josef Hospodka. Famous Czech designer was one of the main figures of Chřibská glassworks and his designs are now brought alive by LASVIT glassblowers in a special edition “Chřibská 1414″. 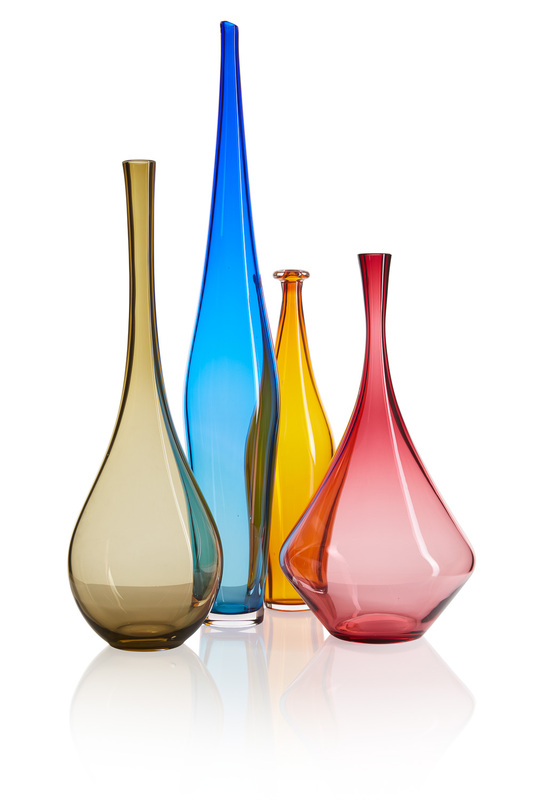 “The collection is a tribute to history, the craftsmanship, and ingenuity of Czech glassmakers. Josef Hospodka’s vases are a perfect example of a designer’s approach to glass. For their time, they were something completely new, and they testified to the fact that Czech glass still set world trends and stretched the boundaries of what was considered possible. With its “Chřibská 1414” collection, LASVIT directly continues the legacy of glassmaking legends such as Hospodka.” explains LASVIT’s Director of Collections, Marcel Náhlovský. LASVIT’s Chřibská collection reminds us not only of the glassworks and its contribution to the art of glass-making but also of the unique quality of Hospodka’s designs. “The times have changed and design is in a completely different position now. Today, we return to these things and we can breathe new life into them, and give them a second chance,“ says LASVIT’s art director, Maxim Velčovský.